Science is a system of acquiring knowledge and it uses observations and experiments to describe and explain natural phenomena. The scientific method is a series of 6 steps that can help someone solve a problem or answer a question related to science. Make observations and record them down. Use your 5 senses to help you out. Ask questions linking to what you are trying to find out. Research more about this topic that you are trying to find out and think of what the conclusion could be. Test your hypothesis to find out more about the topic yourself. After the experiment was completed, analyse your results and find out if your hypothesis is correct. Explain your results. 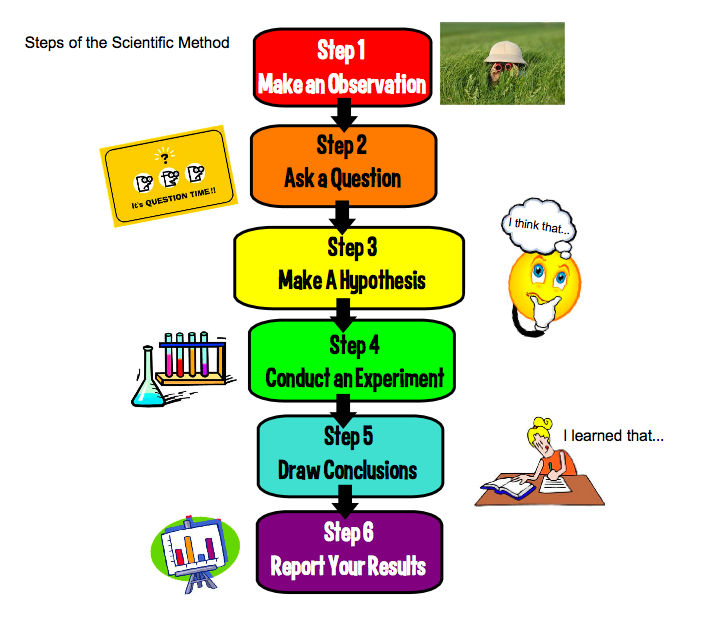 Present your experiment, observations and conclusions of the topic you found out.